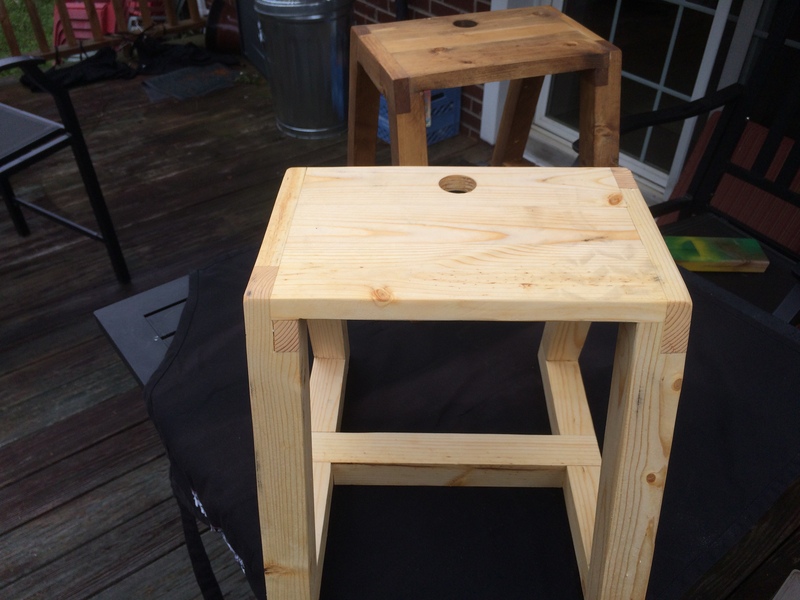 These unique hand made stools use the almost lost art of reverse half lap joints. They use no nails or screws but are just as strong. Look at them closely and the patterns are hard to follow. 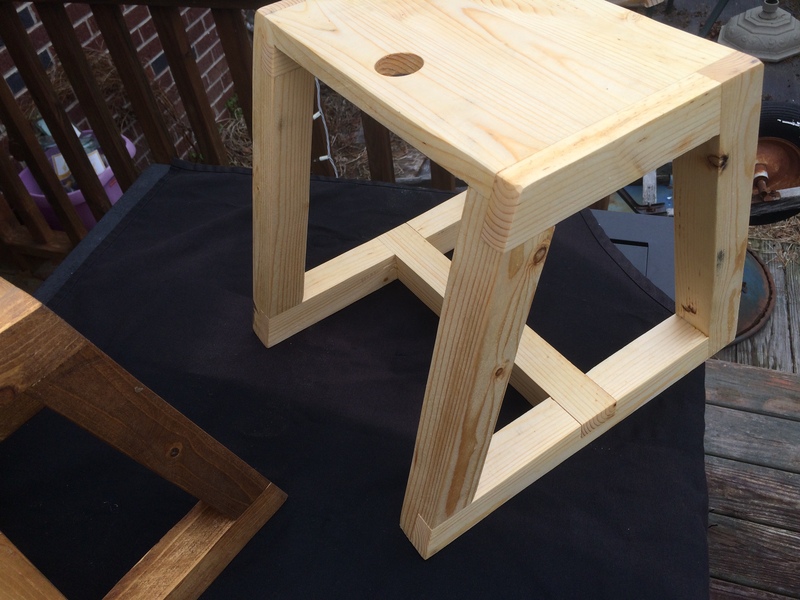 Each one is 14″ wide at the base, 12″ tall and 12″ across the front and back. The top is recessed into the other wood and measures 12″ long by 7″ wide. I put a finger hole in the top to allow you to pick it up. I make it out of reclaimed wood and other scraps. It only weighs about 2 or 3 pounds, so you or your little one can easily move it. 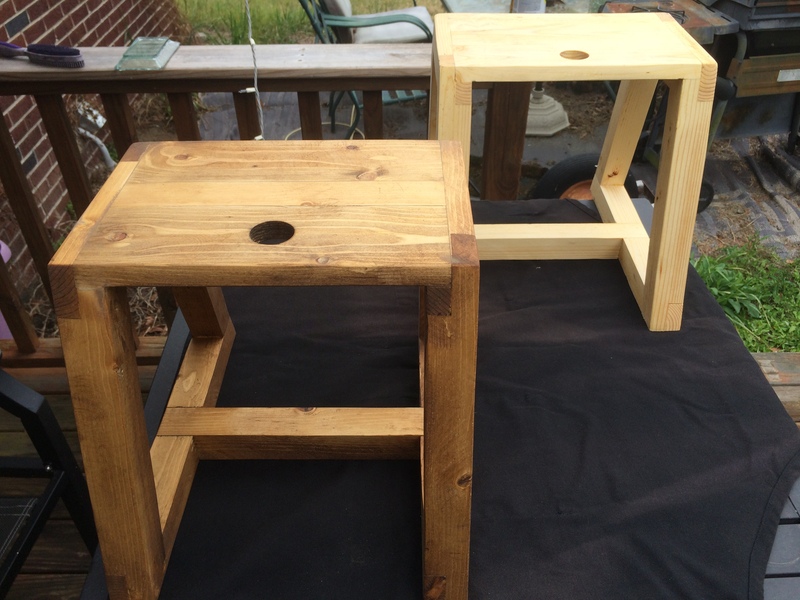 I can stain them any color you might like, or paint them if you wish. This one has a light oil finish to preserve it and show the beautiful pine grain. This one has a darker oil finish, and it really makes the knots and grain pop.